Recently I was interviewed by Twinja Book Reviews, a website dedicated to the fight to bring multiculturalism to Young Adult Fantasy and Science Fiction novels. Founded and helmed by twin sisters Libertad and Guinevere Tomas, Twinja Book Reviews is a great site to find YA books that go beyond the white male default protagonist. Check out their ‘Our Reviews’ section for a wonderful selection of multicultural YA. Now, the Twinjas have returned with their brilliant Diversify Your Steampunk series. I’m a participant in the series, reppin’ Steamfunk, Dieselfunk and Rococoa and there are others before me with some fantastic stuff, too, so after you read this post, hop on over to the Twinja’s website and indulge. During our month of highlighting diversity back in December of 2013, we introduced our audience to Balogun Ojetade for the first time. Clearly with his followong he doesnt need to be introduced, but we couldnt think of a more deserving candidate to end our first week of Diversifying our Steampunk. 1. You’ve been here before, so while we don’t require an introduction, our new followers do! What can you tell us about yourself the person, the author and the steampunk innovator? My name is Balogun Ojetade. Although my name is Yoruba, I am descended from the Ateke people of Gabon and the Seminole Nation of the Southeastern United States. I am a husband, father of eight children – seven girls and one boy – and I am also a grandfather twice over. I am author of six novels, one non-fiction book, several articles and short stories I wrote are in anthologies and magazines and I am contributing co-editor of two anthologies. I am also a filmmaker and fight choreographer and I have created two short films and two feature films and choreographed three films, thus far. As far as Steampunk innovation goes, I am one of the founders of the Steamfunk Movement. Steamfunk is Black / African-inspired Steampunk. 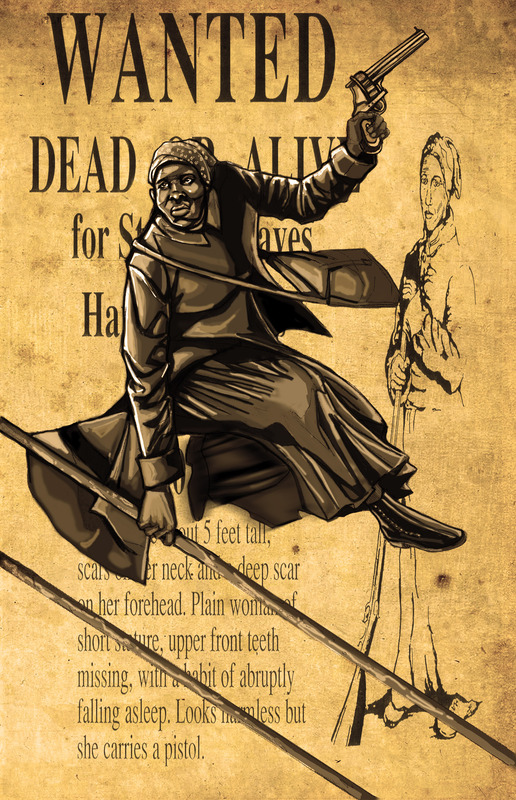 We tell the stories that had previously gone untold – the stories about the Black heroes in the Age of Steam. We have done the same with Dieselpunk, which we call Dieselfunk and with Rococo, which we call Rococoa. 2. Since we’re asking everyone involved, we have to know. Why Steampunk? Was there something that drew you to this particular sub genre of science fiction? Have you always been a fan of steampunk? What draws you to steampunk? How do you define steampunk? Starting at the age of two, I was sat at the foot of my mother and encouraged to watch one of her favorite television shows – The Wild, Wild West. For those familiar with the show, you know that it was Steampunk before the word Steampunk existed. I fell in love with that show and its anachronisms and I vowed that one day I would write something in that genre, but with heroes who looked like me. It’s funny you called Steampunk ‘Science Fiction’ – and for many people, that is what it is, However, my expression of Steampunk would be closer to Science Fantasy. I include strong elements of magic, African spirituality and the supernatural in my works of Steamfunk. I define Steamfunk as retrofuturistic Science Fiction or Fantasy set in the Age of Steam. This age could be set in the Victorian Period of 1837 to 1901, or in Ancient Africa. It doesn’t matter when or where to me, as long as the dominant technology is steam power, or perhaps, the Lumineferous Aether. 3. Steampunk over the years has become so synonymous with the Victorian era, many will not wrap their heads around a non-European setting. You’re pretty much one of the innovators of a sub genre you crafted yourself. “SteamFunk.” What was the story behind Steamfunk? Why did you deem it necessary to the steampunk world? 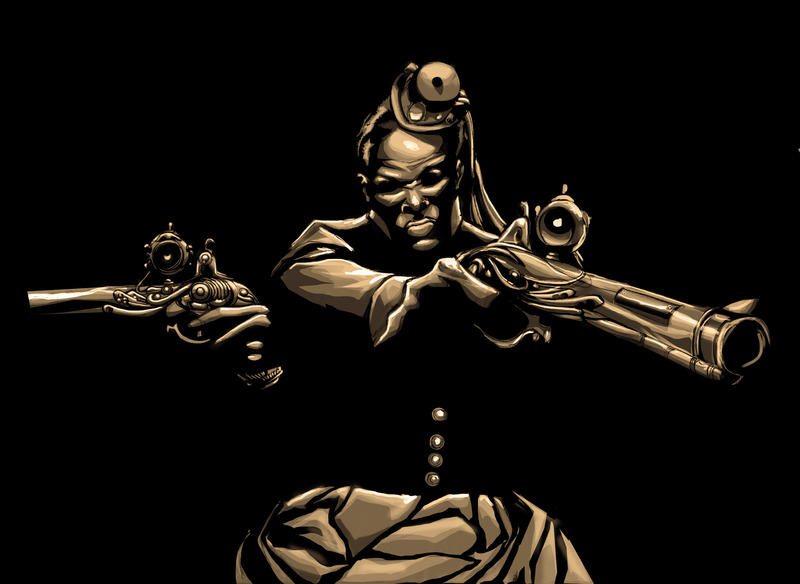 The Steamfunk Movement started as a conversation on a social media website in which several Black authors expressed their appreciation for Steampunk, but were disappointed in its lack of stories featuring Black heroes and its near-absence of Black people involved in Steampunk cosplay or any other aspects of the genre. 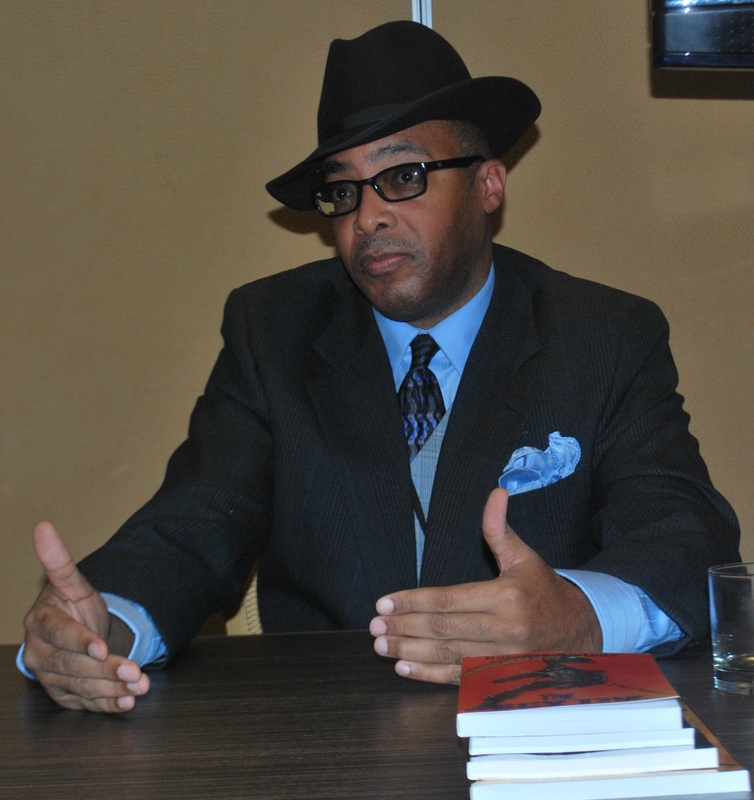 I had already been writing Steampunk, as had another author Maurice Broaddus, who had written a short story entitled Pimp My Airship, but we all came to the conclusion that we would all begin to write Steampunk from a Black perspective. Maurice said “well I call the Steampunk that I write Steamfunk.” We all agreed that was the perfect name for our brand of Steampunk and that is how we came to call our work Steamfunk. As far as the Steamfunk Movement is concerned, I decided that we needed to bring Steamfunk to the forefront of speculative fiction and to make Steampunk known to the general Black population, who knew very little of the genre if anything at all, so I started my Chronicles of Harriet blog and began educating Black people about Steampunk and educating the world about Steamfunk. Steamfunk is necessary because our stories deserve to be told; our voices need to be heard. And honestly, before Steamfunk, very few Black people had any interest in Steampunk. Most Black people thought it was a “whites only” thing, or that it was just corny. We showed them that you can get funky with it; that Steamfunk is exciting, fun and cool. 4. What music puts you in the mood to write for SteamFunk? If you had a soundtrack for “The Chronicles of Harriet” what would make the cut? I have very eclectic tastes in music. I listen to everything from classical music to Zydeco to Jazz to Hip-Hop. When I write Steamfunk, however, I usually listen to the music of Ennio Morricone, who is famous for scoring spaghetti westerns such as The Good, the Bad and the Ugly, High Plains Drifter and A Fist Full of Dollars. If I had a Soundtrack for Moses: The Chronicles of Harriet Tubman, it would include: Bound to Ride and Till My Last Shot by Gangstagrass; Snowden’s Jig, by Carolina Chocolate Drops; the Prison song Early in the Mornin’; Ennio Morricone’s L’Estasi Dell’oro (“The Ecstasy of Gold”) and Il Buono, Il Cattivo, Il Bruto (“The Good, the Bad and the Ugly”); and the Buck and the Preacher Theme, by Benny Carter. 5. What is the future of SteamFunk for you? Do you have other SteamFunk works in your head? Do you plan on making any other historically famous women of color leading ladies? The future of Steamfunk for me is in film and the final novel in the Chronicles of Harriet series. I will be releasing the Rococoa novel, Black Caesar: The Stone Ship Rises at the end of this year and I have already released the Dieselfunk novel, The Scythe this year. Stagecoach Mary Fields is already a co-star in the Chronicles of Harriet series and I have been contemplating writing a novel with her as the lead protagonist. We’ll see. As far as film and Steamfunk, Rite of Passage, the first Steamfunk feature film, premieres May 8th in Los Angeles. I am also writing a Steamfunk film based on my short story Nandi that I hope to get major backing for. 6. You’ve made many appearances throughout the steampunk junket. Do you have any favorite conventions? Who are some of the most interesting people you’ve met through diversifying SteamPunk? One of my favorite conventions is AnachroCon, which is an Atlanta-based Alternate History convention held every February. It is loads of fun and the people who put on the event – the Directors and their staff – have treated my family and me very well at the Con and have been very supportive of Steamfunk. Some of the most interesting people I have met have become friends of mine – Diana Pho, aka Ay-Leen, the Peacemaker, an editor at Tor and founder of the brilliant Beyond Victoriana website; Mark Curtis, a genius Steampunk tinkerer and cosplayer, who cosplays Steampunk John Henry and Steampunk Lando Calrissian; Mark’s wife, Theresa Curtis, another genius, who is an expert fabricator and who cosplays a Steampunk vampire, just to name a few. 7. You also have a sub genre of fantasy known as “Sword&Soul.” What is that exactly? Any upcoming projects in that genre to come our way in the near future? 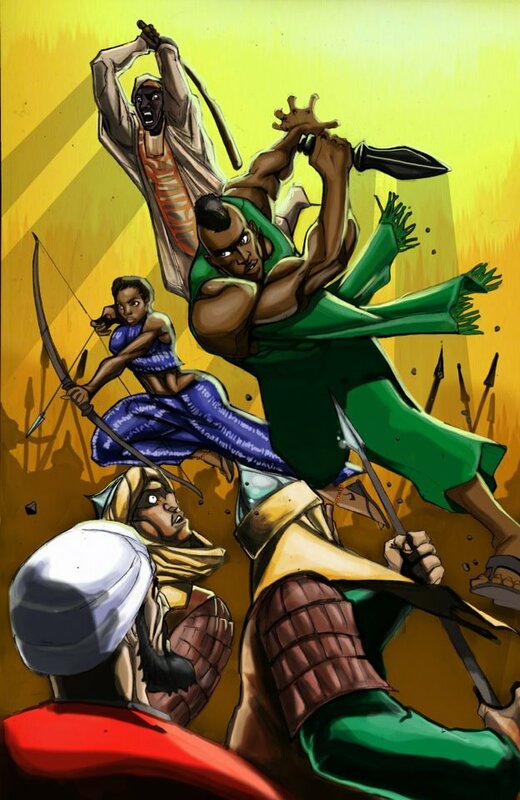 Sword and Soul, which is African-inspired Epic and Heroic Fantasy, is actually a phrase coined by the subgenre’s founder and father, Charles R, Saunders. 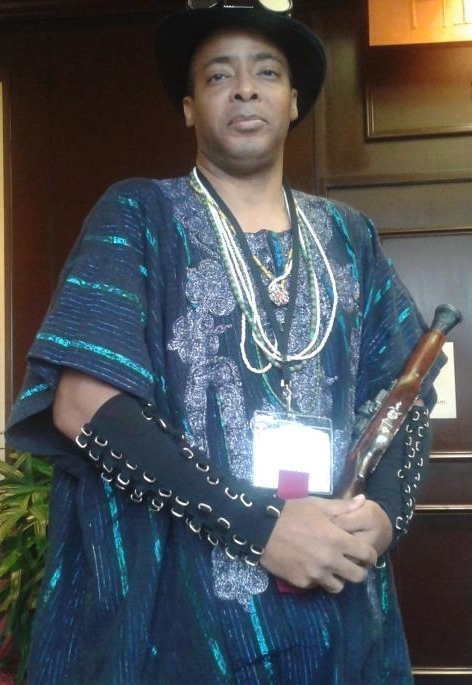 I wrote the novel Once Upon A Time In Afrika, which is published by another big name in Sword and Soul, Milton J. Davis, the owner and CEO of MVmedia, which publishes most of the Sword and Soul out there. I am working on Once Upon A Time In Afrika, Book II, which I plan to release early next year. 8. It was awesome to have you back! We’re already following, but where can people just tuning in go to check up the latest updates on your work? They can check out my website: Roaring Lions Productions , or my blog: Chronicles Of Harriet. Oh, and please, please, PLEASE go to the Steampunk Chronicle website, register, if you haven’t already (it’s quick, easy and painless), scroll waaaay down to STEAMLIFE and then vote for me for Best Multicultural Steampunk and Best Politically Minded Steampunk, too! Yep, it’s important. Thanks, y’all! Posted by Balogun on April 18, 2014 in Afrofuturism, Dieselpunk, Fantasy, Science Fiction, Speculative Fiction, Steamfunk, Steampunk and tagged rococoa, steamfunk, steampunk, sword and soul. Another great interview! Sounds like many exciting projects for the future. I placed my votes for you.